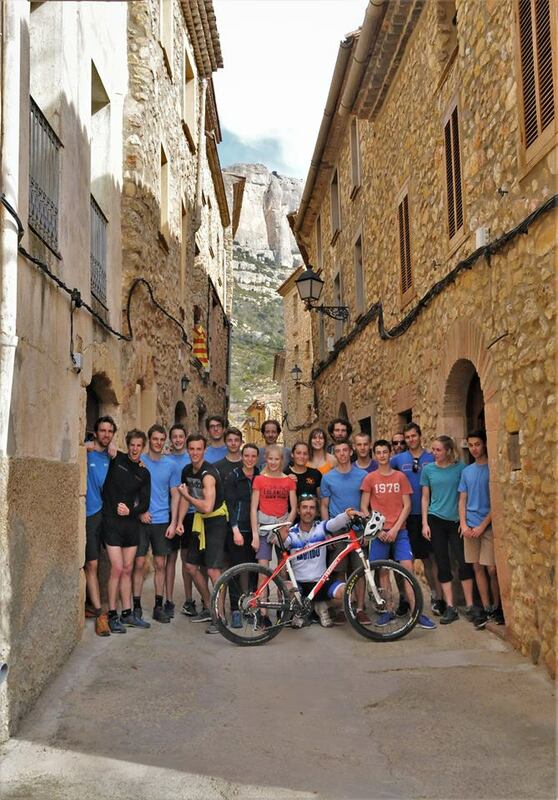 The Belgian lead climbing team went on a week-long training camp to Catalonia. To learn, train and create a stronger Belgian team. I learned a lot, not only about climbing, but also about friendship and I learned that being a Belgian doesn’t always require speaking French. I learn the older I grow and time is coming for me to leave my youth and turn into an adult slowly. And the further I go, the more I begin to accept it, like it and maybe one day even love it. This one week had lasted way too long and way too short. First off, I had been too long without a hug from my dad, cause he gives the best hugs in the world, and second I was just starting to find interesting things to say to everyone and then, bam, the week was over. I was also just starting to get used to the rocks again. Next time I’m going on a training camp with the team, I’m hiring a personal hugger. My dad dropped me off at the airport, where I went inside and waited for the team to arrive. The flight to Catalonia was boring and turned into a napping trip. Not much to talk about. In Barcelona, we took the underground to the centre and there we met up with Didier and Héloïse, who had arrived a week in advance. They then led the way on foot to the hotel. Arriving at the hotel, we saw Eddie the photographer. We were all super tired and hungry, so we went to eat some greasy food in a cheap restaurant. The next day, we ate breakfast early and then took the bus to Siurana. The Belgian team got their own bus, which was super awesome. It was a very social bus, though on the drive to Siurana we all slept. We climbed half a day. And didn’t do much. I tried an 8a, but there were some very manly moves and though I am tall enough for them, strong is another question. The day went by fast and our hotel was nice. 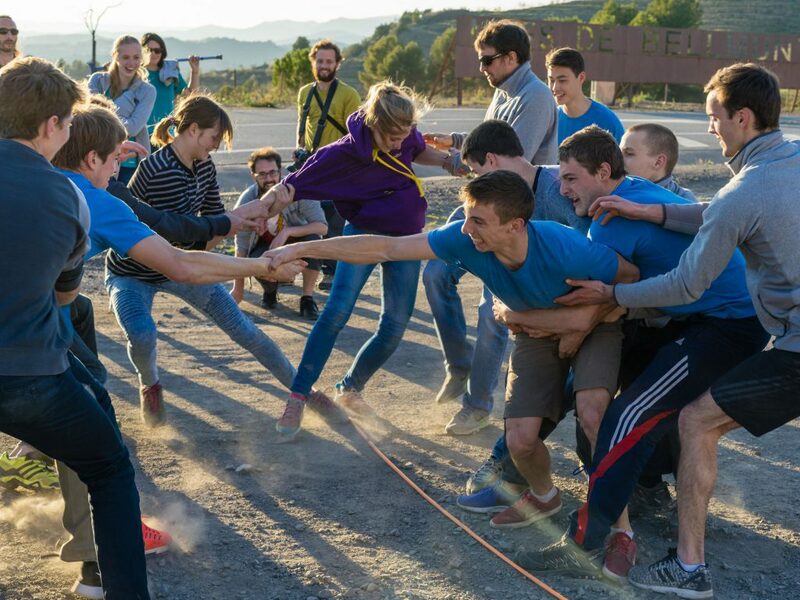 That night everybody had enough energy to play a game together. The same could not be said for the other nights. Everyone was tired and after a day of climbing, we all wished to sleep. Two climbing days passed followed by a resting day. This day was organised by the Catalan Tourist Board. They had planned for us to visit the Roman historical city of Tarragona in the afternoon. Tarragona was amazing and beautiful The sun was out and when lunch came around, we were all starving. I didn’t expect to eat so much. The food came and didn’t stop coming. After lunch, we went to visit the home town of Gaudi and a museum dedicated to this architect. Very cool. After the museum, we had another half hour left before we could go eat dinner and we spent it taking pictures of us with strangers on it. All very funny. Diner was again a lot. Tapas came and went. Sooo much food. After another two days climbing, a second rest day came. This time we went mountain biking and man, is that hard. It was so tiring. The slope we were biking up was so steep that I had to walk beside my bike half the time. The actual biking was very slow and hard on my legs. Nevertheless, it was a lot of fun. After biking at least an hour up the mountain, we arrived at the village and there we took a picture together and drank a lot of water and rested. Driving back downhill was the nicest part. It went very fast and the wind was ice cold. After mountain biking, we went to a restaurant and ate again a lot. Back in the bus, we went to the mines, but arriving there, we soon realised that there was no one as the mines were closed so we played group games. Diner that night was in the hotel again. Bus hours were the longest and the nice part is that we all sat down together as a team. Talking and what the back of the bus always did after climbing, singing. Nice French songs and sometimes English songs. And I had the grand idea to get the singers to sing at the mike in the front of the bus. Very awkward but super fun. The first day, I had to sing alone. You see, we were playing a game where you had to kill each other by doing a quest. And everyone thought that my quest was to get someone to sing at the mike in front of the bus. That was not the case but it was fun trying. I tried to convince Héloïse, but she didn’t trust me. The second day, I sang together with Loïc, since he had died the day before. The third day that I was planning to take the mike in my hands, was the last day of our climbing days. I decided that there had to be something to finish off the week. A speech, a farewell to Catalonia. And so I wrote a speech on the way to the hotel one night after climbing. I had it corrected by Liselotte and Sven. And then, the next day at 9 o’clock in the morning on our way to the rocks I gave my speech. I have to admit that I get very nervous in front of a lot of people and that I usually crack. But when you challenge me, I will do anything. So, when Loïc said speech in the bus, I scraped up my courage and stepped up to the front. After giving my speech and running back to the front to add some things I forgot, I sunk in my seat. I was shaking and hoping that I hadn’t made a fool of myself. But I couldn’t have done much damage since I had already sang two times in the mike while I absolutely can’t sing. But still, singing was nothing personal, though the speech was all personal. The fourth day, I sang together with Héloïse, because I had died and couldn’t kill her anymore. On our way to the airport, we sang “Ensemble même si l’on est différent”. I was very happy. The first climbing day was only half a day long and then I tried an 8a, but it was a manly route and some moves were very hard to do. I didn’t do much. I tried a lot and had a lot of fun. It was more a holiday than a climbing week. But still I tried. I did one 8a flash in Margalef. And another I could have done if time was with me. 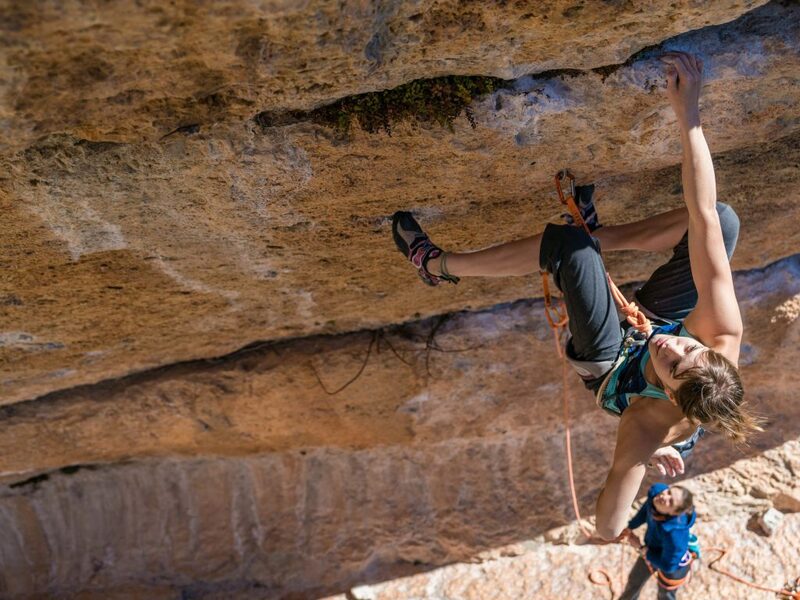 In Siurana, I worked in an 8a and I could have done it, again if I would have had extra time. I spilled a lot of time. I soon found out that I prefer Margalef over Siurana. I learned that a relationship works in two ways. Okay that is obvious but not something you think of while you talk. Sometimes you say things that sound innocent to your ears but hurt to someone else’s. I learned that I like speaking into a mike. I learned that I like being a Belgian. I learned that I like a big bus. I like being part of a team. I learned some extra French. I learned that I prefer Margalef over the small part of Siurana that I saw. 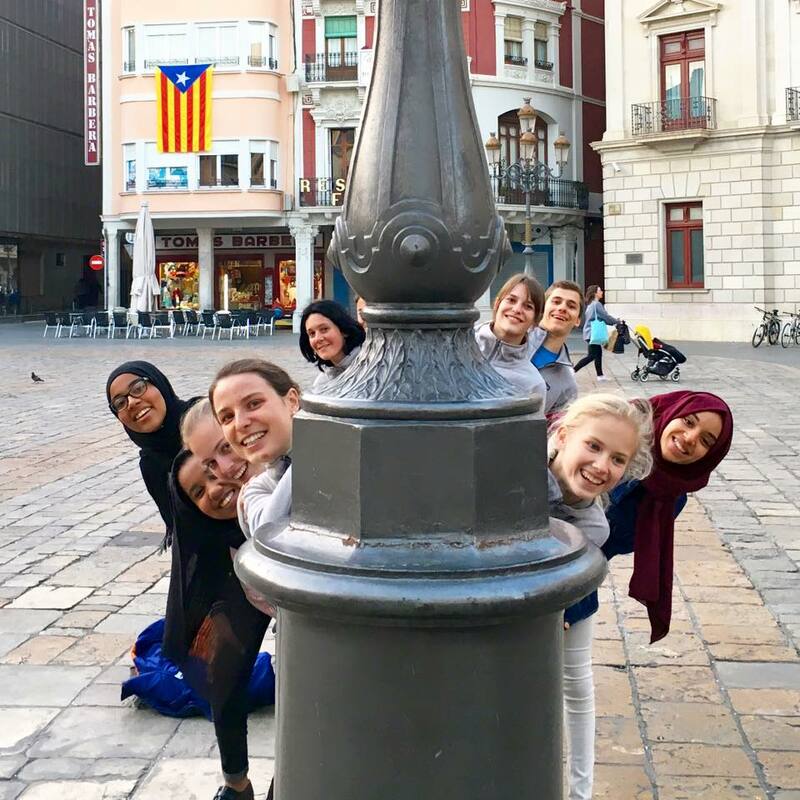 And this was my week out with the Belgian team to Catalonia. Photographs: Eddie Fowke, Michaël Timmermans, Loïc Timmermans.